The Kia Soul has been a fan- and hamster-favorite since it entered the market a few years back, but what is the automaker doing to ensure the 2014 model is on par with its predecessors? (No, Kia is not making the seat stuffing out of woodchips. Sorry to disappoint once again, hamsters of the world.) 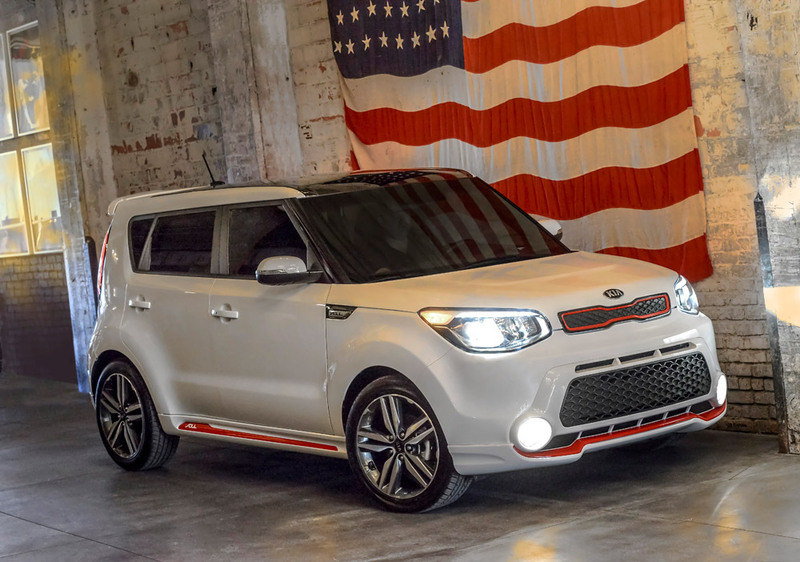 While Kia has updated the tech and performance features and has tweaked that funky design, what we’re most excited about is the all-new “Red Zone” Edition Soul, which will go on sale in early 2014. The Track’ster concept that Sprague is speaking of might ring a bell. At the 2012 Chicago Auto Show, Kia unveiled the critically acclaimed Track’ster concept to our delight. This concept was an all-wheel drive model that laid down 250 horsepower generated by a turbocharged 2.0-liter four cylinder engine, paired with a six-speed manual transmission. Having a production model Soul modeled off this concept is a dream come true for humankind and hamsterkind alike. Adorned with white exterior paint and a most aggressive body kit with red accents throughout, the “Red Zone” Edition Soul bears 18-inch alloy wheels and sports a 2.0-liter gasoline direct injected four cylinder engine that doesn’t quite reach the stunning horsepower of our beloved concept but still performs quite nicely, rated at 164 horsepower. The powertrain is complete with a six-speed automatic transmission. If you want to be caught red-handed with this bad boy, however, you’ll have some stiff competition. Only 2,000 models will be made available.